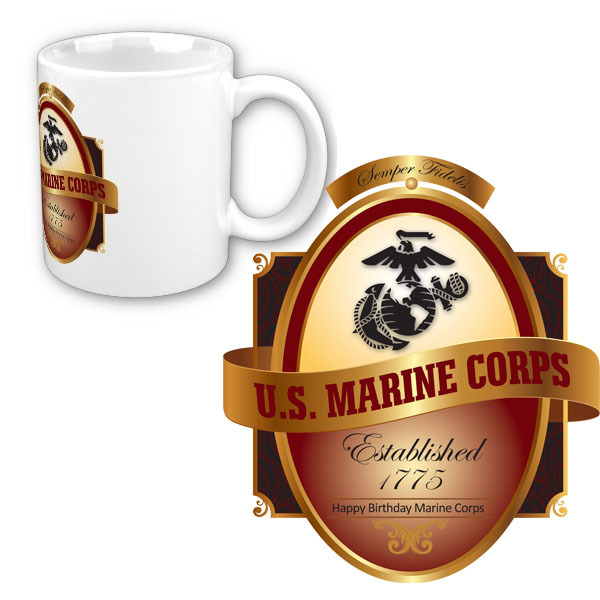 Click here to shop for keepsake items for the 2011 Marine Corps Birthday! As a family member or friend of a Marine, you know how deep tradition runs in the Marine Corps. The Marine Corps Birthday and Birthday Ball is no exception. Read all about the history in this week's newsletter. Learn how you can contribute to the Marine Corps Birthday Ball being held for the Marines in the Wounded Warrior Barracks in San Diego this November 17. Scroll below to read more. 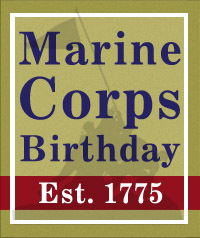 The Marine Corps Birthday is one of the most celebrated traditions of the Corps. Each year on November 10th, Marines across the globe celebrate what they see as their second birthday, the day the United States Marine Corps was born. Each year, the Commandant of the Marine Corps sends a Marine Corps Birthday message to Marines around the globe. Today's technology makes this fast and easy, and the birthday message can be shared with family members as well. Click here to watch the Commandant's Birthday video, 2011. 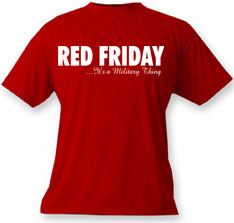 Your donations is made to MarineParents.com, an IRS approved 501(c)(3) eligible to receive tax deductible donations. To learn more about this year's Marine Corps Ball for our Purple Heart heroes, click here. 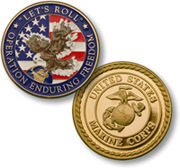 Among the Marine Corps' many traditions is the carrying of the challenge coin, and it is rooted in history dating back to World War I. See what other family members and their Marines are doing for the Marine Corps Birthday this year. Light a candle, share a wish, and talk to other family members on Marine Family Network in the Birthday 2011 group. Click here for a place to connect and share! 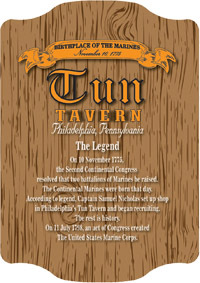 The banner used at the top of this newsletter is an October 2011 USMC photo by Sgt. Kuande Hall, of the participants in the 36th annual Marine Corps Marathon kicking off the race through the nation's capital on October 30th. Click here to read additional credits. MarineParents.com, Inc. is a 501(c)(3) public charity. MarineParents.com, Inc. was founded in January, 2003 in response to parents' needs to find information and to have a Place to Connect & Share™ with one another during deployments. Our free online services and connections have expanded to support and educate Marine moms & dads, spouses, families and friends. We've helped 400,000 Marine and recruit families during boot camp, training, active duty and deployments. We've shipped over 30,000 care packages overseas to our Marines in Iraq Afghanistan, sent 60,000 of prayers and letters to injured Marines and served thousands of meals to Wounded Warriors and their families on both the East and West coasts. You've found a Place to Connect & Share™.